Earlier this month, Knott’s Berry Farm in Buena Park, CA, announced that Soak City will expand for the 2017 season. Two new slide complexes, cabanas, and a full service restaurant will all be installed in time for the park’s 97th operating season. Here’s a closer look at the rides below. Sadly, to build seven new water slides, one must be removed to create space. Pacific Spin, a ProSlide Tornado that debuted in 2006, will close and be removed to make space for Fusion Constrictor Python, one of the new-for-2017 slides. The first ride to be added will be a White Water West Fusion slide, named Fusion Constrictor Python. 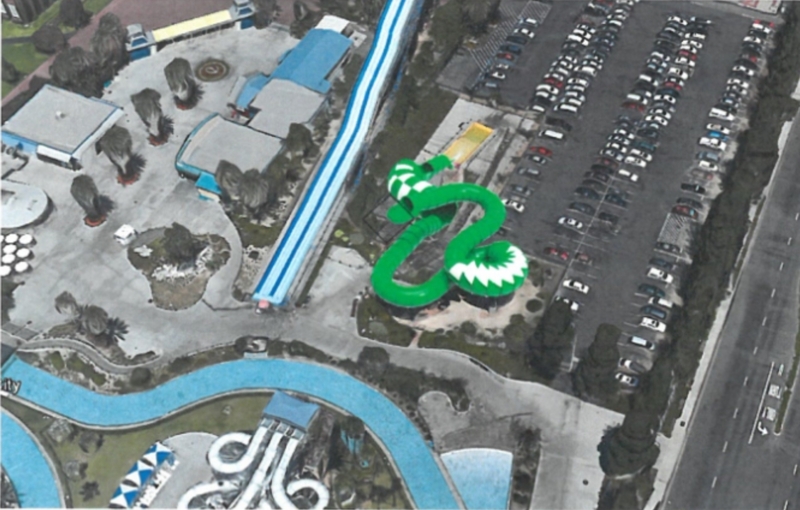 From Knott’s renderings, the family raft ride looks to be a fun family slide. Here’s an aerial view of where the ride will be placed in Pacific Spin’s former spot. The headlining complex of Knott’s Soak City’s 2017 expansion will consist of four skybox drop slides and two inner-tube slides holding 1-2 people. This photo gives a side view of the complex and lengths of all four slides. 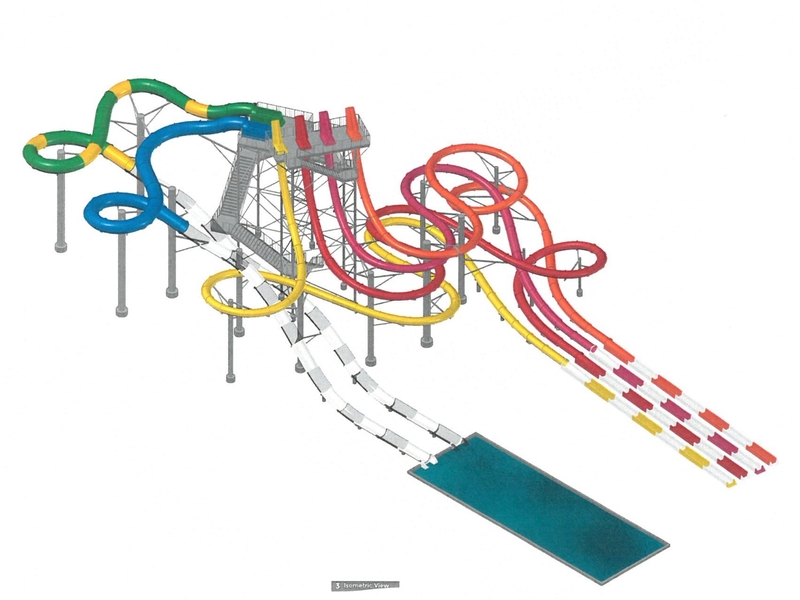 The top view gives an accurate perspective of the six slides and their heights. The four drop slides will stand 64.3 ft tall while the inner tube slides will be 50.5 ft tall. The two brand new complexes will be located in the bottom right corner of this map. What do you think of the Knott’s Soak City expansion? Let us know in the comments below! I am glad they are getting this expansion but I am not happy about the removal of Pacific Spin. What’s going to happen to it? Are they throwing it away or are they relocating it to a new park? Nothing’s been confirmed about this so far.